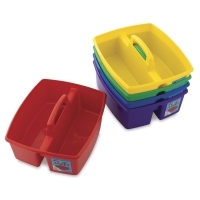 Storex Classroom Caddies make it easy to just grab and go! 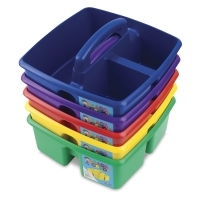 Great for storing and toting supplies from storage areas to art and work areas, these caddies are made of lightweight, impact-resistant plastic. 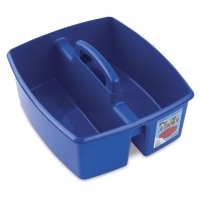 They feature divided compartments and a rounded handle with no sharp edges, so they're perfect for young children. 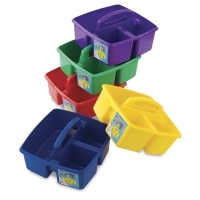 Washable and dishwasher-safe, Storex Classroom Caddies nest neatly when empty. 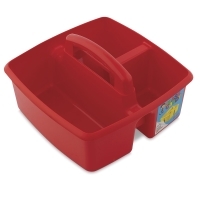 Set of 5, Large — Individual caddies measure 13"L × 11"W × 6.375"H and have two compartments. The set includes one each of Blue, Green, Purple, Red, and Yellow. 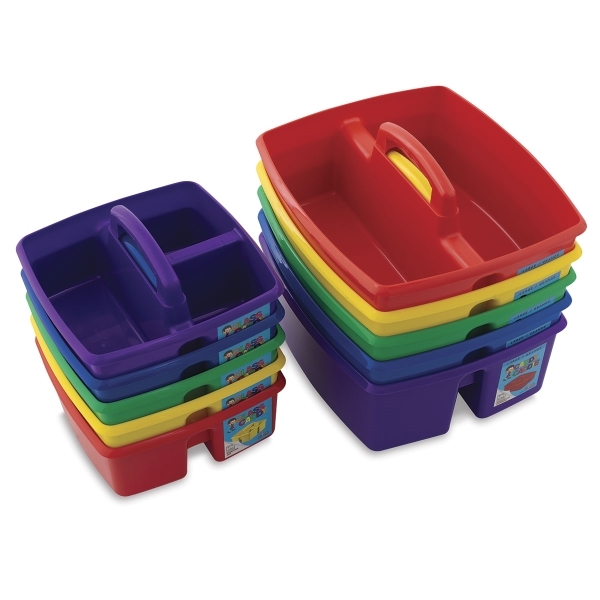 Set of 5, Small — Individual caddies measure 9-1/4"L × 9-1/4"W × 5-1/4"H and have three compartments (one large and two small). The set includes one each of Blue, Green, Purple, Red, and Yellow.